Payday treats for July 2016. Wallet friendly summer fashion. Payday is calling, and with it comes the opportunity to finally give in to that overwhelming urge to shop. With warmer weather making a welcome appearance this month, we’re all feeling the need to pick up some lighter, cooler clothes to see us through the rest of the summer – while looking ahead to the new season with a few transitional pieces that are starting to creep in. Here’s our pick of what’s hot for payday in July – all available with CollectPlus click & collect, returns or both. 1. Silence & Noise bomber jacket, £89 at Urban Outfitters. 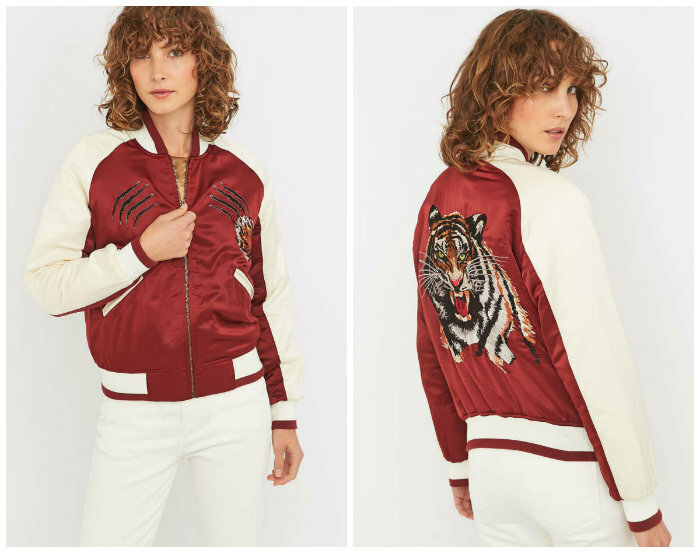 Unleash the tiger in you with this fierce, deep red bomber jacket from Urban Outfitters, available with CollectPlus returns. 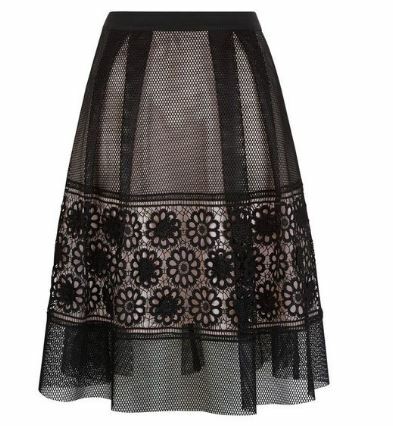 The classic skater skirt gets a vampish edge with this shimmery black mesh skirt from New Look. Available to click & collect to your nearest CollectPlus store. Missguided invites you to ‘shop it while it’s hot’ this week, and there are certainly some sizzling bargains to be had in the brand’s Holiday Shop. We love this retro crop top, which reminds us of balmy summer nights in Florida. CollectPlus click & collect is just £1.99 at Missguided, to any store in our 5,800+ strong network. 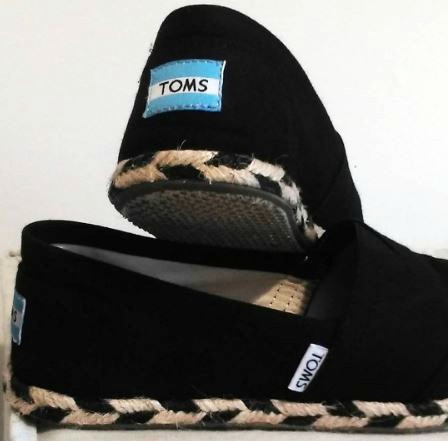 Summer wouldn’t be summer without a new pair of Tom’s Shoes, and we think this stylish monochrome look will go with almost everything. Available at Schuh with CollectPlus click & collect and Schuh’s amazing 1 year returns policy, you can’t put a foot wrong with these all-purpose slip-0ns. Payday picks: we love this candy stripe bardot top for a sunny day. One trend you can’t miss this summer is the cold-shoulder or Bardot top, and we love this cheerful candy-coloured crop from River Island. It’s available either direct from River Island or at ASOS – both with click & collect to your local CollectPlus store.